Set in the old “drunk tank” of what was the Charles Street Jail, Alibi is a hot spot for cocktails and late night snacking. Original bluestone floors and brick cell walls set the scene for mingling amongst cheeky images of celebrities and their “alibis,” while an outdoor patio is a rare off-street locale for enjoying drinks and watching the sunset. HUB SPORTS BOSTON PLAYER PERKS! 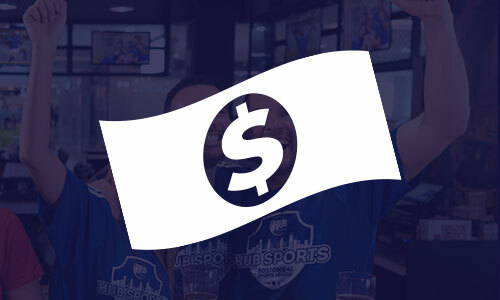 $50 & $25 PARTY VOUCHER FOR TOP 2 TEAMS! Metro Boston’s finest year round indoor baseball & softball training facility that is dedicated to fulfilling the needs of players of all ages and abilities. The Shack bar offers 20 taps of locally crafted beer, 11 high definition TVs, and plenty of long high top tables for groups of any size! Come grab a pitcher, a stein, or a pint of your favorite brew, and get messy at the Shack! Miller’s is a casual sports restaurant & bar with freshly-made food at an incredible value where we focus on cold beer & hot food. Whether you’re here to chill, cheer, chow down or get charged up, you’ll find a whole House full of friends & friends-to-be, ready to join in. The Lincoln Bar & Grill is home to some of Boston’s best food, at the best prices. At this small, cozy hometown corner pub, you’ll experience excellent service and events the whole family can enjoy. Our outdoor patio is a favorite during the warm weather seasons. Trivia night every Wednesday. Worth every Penny! Flatbread Brighton provides a fun family dining and bowling atmosphere while serving healthy pizza and salad, along with a great beer, wine and cocktail program. Located inside Flatbread Brighton in the heart of Boston Landing, Brighton Bowl is bringing back candlepin bowling to one of Boston’s best neighborhoods. Towne is a unique Back Bay dining experience built around a delightful mingling of international flavors and solid American fare. Conveniently located adjacent to the Hynes Convention Center, Towne is open daily for lunch, dinner and serves weekend brunch. Towne’s Street Bar is the place to be in Boston. Stop by for a quick drink after a day of shopping and stay for our even better bar bites menu. 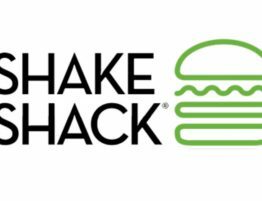 We’re proud to serve the community of Greater Boston the same classic ShackBurgers the area has come to know and love, as well as showcase a few location-specific frozen custard concrete desserts. Pie Oh My, anyone?